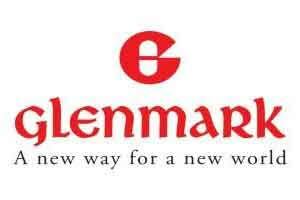 New Delhi: Glenmark Pharmaceuticals today said it has received a tentative nod from the US health regulator for generic version of Sanofi-Aventis’ cardiac drug Multaq. However, the company cannot sell the product in the US as it is involved in a patent litigation with Sanofi in the district court of Delaware. Sanofi and Sanofi Aventis filed the suit against Glenmark and Dublin based Actavis (Watson) on February 26, 2014 in the US court seeking to prevent the duo from commercialising its ANDA product prior to the expiration of certain US patents. “Glenmark believes that it is one of the first companies to have filed a substantially complete ANDA… and expects to be eligible for 180 days generic drug exclusivity upon final FDA approval,” the company added. Quoting IMS Health sales data, Glenmark said for the 12 months to November 2015, Multaq market achieve annual sales of around USD 425.7 million. The company’s current portfolio consists of 104 products authorised for distribution in the US marketplace and 62 Abbreviated New Drug Applications (ANDA) pending approval with the USFDA.